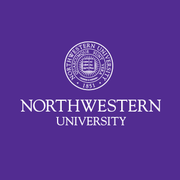 Founded in 1851, Northwestern University is a private research and teaching university with an enrollment of approximately 8,000 full-time undergraduate students, 8,000 full-time graduate and professional students, and 2,000 part-time students on campuses in Evanston and Chicago, Illinois, and Doha, Qatar. Northwestern combines innovative teaching and pioneering research in a highly collaborative environment that transcends traditional academic boundaries. Sports Marketing via Coursera 1-2 hours a week , 6 weeks long 1-2 hours a week , 6 weeks long 29th Apr, 2019 No reviews yet. Organizational Leadership Capstone via Coursera 2-4 hours a week , 8 weeks long 2-4 hours a week , 8 weeks long 29th Apr, 2019 No reviews yet. Content Strategy for Professionals: Managing Content via Coursera 3 weeks long 3 weeks long 29th Apr, 2019 No reviews yet. Content Strategy for Professionals: Ensuring Your Content's Impact via Coursera 3 weeks long 3 weeks long 29th Apr, 2019 No reviews yet. Modern Robotics, Course 3: Robot Dynamics via Coursera 3-5 hours a week , 4 weeks long 3-5 hours a week , 4 weeks long 29th Apr, 2019 No reviews yet. Modern Robotics, Course 2: Robot Kinematics via Coursera 3-5 hours a week , 4 weeks long 3-5 hours a week , 4 weeks long 29th Apr, 2019 No reviews yet. خيارات لسانية لمحترفي الإعلام باللغة العربية via Coursera 9 weeks long 9 weeks long 6th May, 2019 No reviews yet. Luther and the West via Coursera 6 weeks long 6 weeks long 13th May, 2019 No reviews yet. 17th Jun, 2019 No reviews yet. Sales Pitch and Closing via Coursera 5-7 hours a week , 3 weeks long 5-7 hours a week , 3 weeks long 22nd Apr, 2019 No reviews yet. Modern Robotics, Course 4: Robot Motion Planning and Control via Coursera 4-7 hours a week , 4 weeks long 4-7 hours a week , 4 weeks long 22nd Apr, 2019 No reviews yet. Modern Robotics, Course 6: Capstone Project, Mobile Manipulation via Coursera 20 hours worth of material , 4 weeks long 20 hours worth of material , 4 weeks long 22nd Apr, 2019 No reviews yet. Connecting with Sales Prospects via Coursera 5-7 hours a week , 5 weeks long 5-7 hours a week , 5 weeks long 22nd Apr, 2019 No reviews yet. Building a Toolkit for Your Sales Process via Coursera 5-7 hours a week , 4 weeks long 5-7 hours a week , 4 weeks long 22nd Apr, 2019 No reviews yet. Modern Robotics, Course 5: Robot Manipulation and Wheeled Mobile Robots via Coursera 5 hours a week , 4 weeks long 5 hours a week , 4 weeks long 22nd Apr, 2019 No reviews yet. Customer Segmentation and Prospecting via Coursera 5-7 hours a week , 4 weeks long 5-7 hours a week , 4 weeks long 22nd Apr, 2019 No reviews yet. The Art of Sales - Course 3: Let's Fall In Love via Coursera 5-7 hours a week , 3 weeks long 5-7 hours a week , 3 weeks long 30th Jul, 2018 No reviews yet. The Art of Sales - Capstone: Putting it All Together via Coursera 5-7 hours a week , 4 weeks long 5-7 hours a week , 4 weeks long 30th Jul, 2018 No reviews yet.